Cook on a yacht is a person who can work alone or in a team. He/she has great adaptability, excellent team spirit and ability to cool menus prepared by the Executive Chef or Chef. The cook is versatile in terms of tasks and is flexible in arranging his/her schedule with that of his/her team. In addition, he/she should have culinary competence and know perfectly the products by regions and seasons. 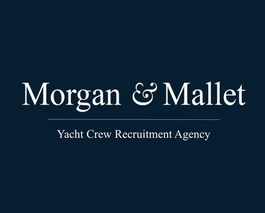 Morgan & Mallet Yacht Crew Recruitment Agency recruits candidates who have experience in upscale restaurants and on yachts. The experience of working on yachts is essential because yacht owners are looking for cooks already familiar with the work environment and able to start working as soon as they take the job. Flexibility is also a required quality because schedules are varied and may be changed from time to time. Self-reliance is another quality considered because the cook may work alone during cutting or thermal processing or cooking of all dishes in general from starters to desserts. A cook should also be ready to help other members of his/her team. The number of people in the galley may vary depending on the size of the yacht. Consequently, the degree of involvement of the cook in the work and tasks may be different which means that the cook should be versatile and experienced.